Alright, so I'm finishing up the back end of my mustang, got all the rear wiring done, dome light works, everything works except for the cig lighter and the 2nd click on the windshield wipers. I'm 17, and know only about body work. What is the best thing to do if I'm replacing the carb? Does any of yall also have the original, but completed? I'm looking to replace mine but also convert it to a 4v around the same size, i just do not know what cfm the original is. If i replace mine with a 4v carb do i have to change the intake as well? and where would i find the vacuum diagram for the car as well? My lines are colorless as they have faded, the engine bay on this car was neglected, as with the rear of the car as well. the car does not run right, and i have no idea how to tune it, check/adjust timing either. it starts cold idling low, then idles higher onces it warms up, but theres a phase inbetween where it cant run itself and will die, where you have to turn it over. Ive replaced the trunk floor, gas tank, filler neck, sending unit (i put a new filter on) replaced the rubber on the gas lines, cleaned out the metal parts, with a new filter going to the carb as well. so i know its not a fueling issue. i have yet to check the distributor, spark plugs, & spark plug wires. By "emissions thing", I assume you mean the EGR valve and plate under the carb? Post a couple good pics of your current setup. I have attached a PDF witha bunch of the vacuum diagrams from the '73 shop manual. The Motorcraft 2100 carb is a very good design and the one used on the 302 was 350cfm IIRC. If it starts and idles low when cold, then your choke is most likely either inoperative, or out of adjustment. They are incredibly simple units and a great one to learn how to rebuild and adjust. Rebuild kits cost under $20 and will probably take you a couple hours your first time. Personally, since the car does run, I would recommend, if you haven't already, purchase the 73 shop manual set from a Mustang vendor. You can learn to do the basics and see real results. If you are going to swap to a 4 barrel, then you'd want a carb in the 500 or 600 cfm range. You'll definitely need to swap intakes,, the go to Edelbrock Performer 2121 is $230 from Summit. Their Summit branded carb is another excellent unit, I'd recommend the 500cfm here. (01-27-2019, 10:52 AM)Hemikiller Wrote: By "emissions thing", I assume you mean the EGR valve and plate under the carb? Post a couple good pics of your current setup. I have attached a PDF witha bunch of the vacuum diagrams from the '73 shop manual. From what i saw the 2121 looks like its for the 289/302, the 2665 would be for the 351 4v right? and I'll be sure to send pictures of the area, i just have not done it just yet. 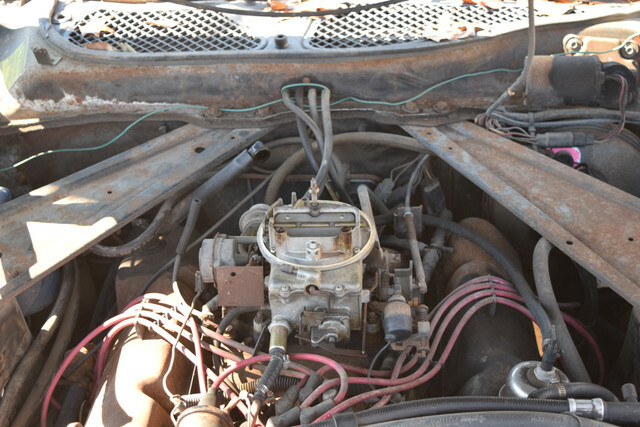 and is it easier to delete the egr valve or buy the intake that isnt marked "Non EGR"
2V and 4V actually refers to the head design, the 4V heads (which were used with 4-barrel carburetors) have much bigger intake and exhaust ports. To put a 4-barrel carburetor on you will want a 4-barrel manifold for a 2V engine. Even though a 4V manifold will bolt up to a 2V head the mismatch in port size is very inefficient. 2V exhaust manifolds will leak on 4V heads. 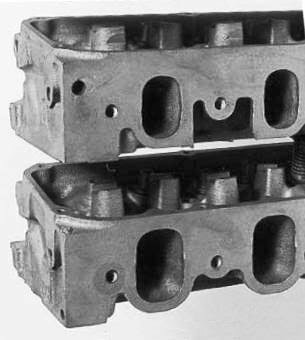 (01-27-2019, 03:36 PM)Don C Wrote: 2V and 4V actually refers to the head design, the 4V heads (which were used with 4-barrel carburetors) have much bigger intake and exhaust ports. To put a 4-barrel carburetor on you will want a 4-barrel manifold for a 2V engine. Even though a 4V manifold will bolt up to a 2V head the mismatch in port size is very inefficient. 2V exhaust manifolds will leak on 4V heads. No, you do not need to change the cylinder heads to change from a two barrel carb to a four barrel carb- just the intake manifold. 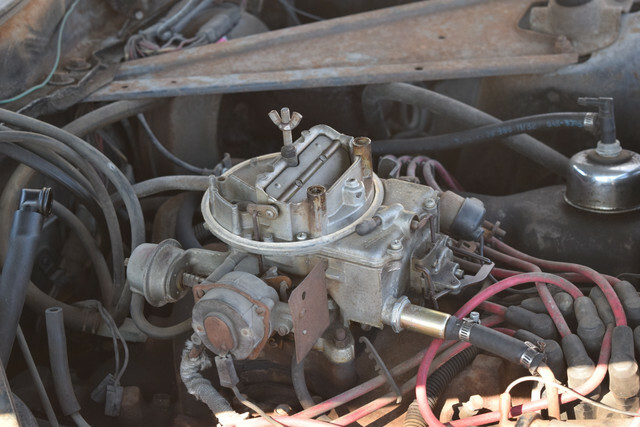 The carburetor flange on the intake needs to match the carburetor you are using. (01-27-2019, 04:10 PM)mjlan Wrote: No, you do not need to change the cylinder heads to change from a two barrel carb to a four barrel carb- just the intake manifold. The carburetor flange on the intake needs to match the carburetor you are using, and you can buy an intake manifold that has a four barrel carburetor mounting flange but has ports to fit the 2V heads. That intake is for a Cleveland? Yes, that one will work just fine. However, I agree with Hemikiller, I would get it running correctly with the two barrel carburetor firdt. Be good experience rebuilding it, and after you get it running you'll be able to see if the engine needs anything else. You don't want to install the 4-barrel manifold and the find out the engine needs rebuilt or a valve job.